For many first time hot tub owners, picking the right hot tub can be a real challenge. Buying the right hot tub can lead to years of enjoyment with little work while buying the wrong hot tub can be costly, disappointing and irritating. That’s why we’ve compiled this list of 7 common hot tub buying mistakes. Avoiding these mistakes will help you save money and avoid the disappointment that comes when you realize that you’ve bought the wrong hot tub! 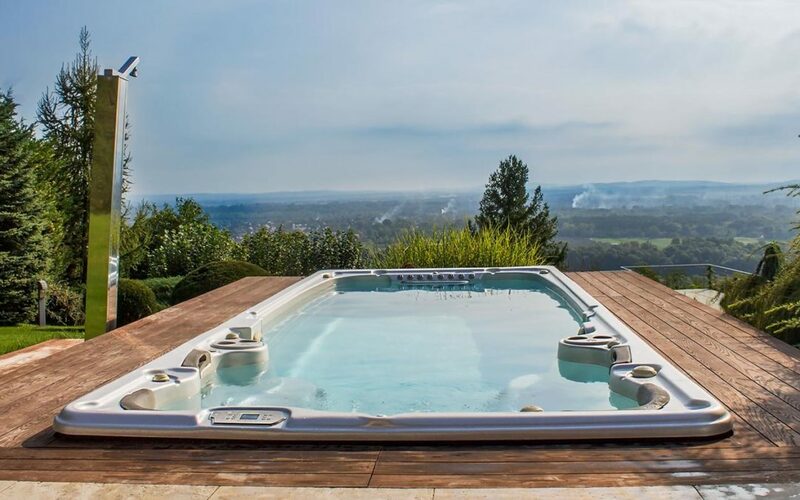 The biggest mistake that we see hot tub buyers make – especially first time buyers – is putting too much emphasis on the purchase price of the hot tub; without considering the ongoing costs. While purchase price definitely is important, focusing solely on that can actually end up costing you a ton of money down the road. 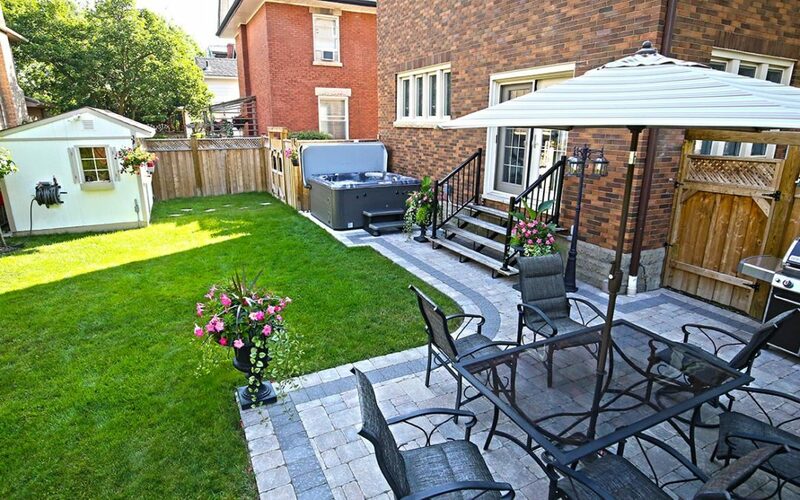 When purchasing a hot tub you also need to consider the “long term costs” of the hot tub; that is how much it will cost to run, maintain and fix over its entire life. While one hot tub might be $2000 less to purchase, it might end up costing $5000 over its lifetime in extra energy costs and extra repair bills. While you definitely need to be mindful of how much your new hot tub will cost to purchase, you also need to make sure that it is well built, uses quality parts and is energy efficient. At Brady’s Pool & Spa Care, we try to minimize these costs as much as possible. That’s why we always include free delivery and a free chemical and accessory package with every hot tub we sell! To entertain and reconnect with friends and family. By defining which of these best describes your needs, you are then able to pinpoint which hot tubs have the features that will best suit those needs, and filter out the hot tubs that don’t. For example, if you’re just looking to relax, there is no point buying a hot tub with 100 jets. Likewise, if you want to entertain but the hot tub you’re looking at only has 3 seats, it’s probably no good for you. There is nothing worse than finding the perfect hot tub only to discover that it won’t fit in your backyard! Before you go shopping for hot tubs, first figure out exactly where you’re going to want it installed. Measure you’re available area and only look at hot tubs that will fit within that area. If you’re not sure what the best spot for your new hot tub is, consult our pre-delivery guide for some helpful tips. If you don’t have a lot of room, be sure that you measure your available space before looking at hot tubs. The number one complaint among hot tub owners almost always has something to do with maintenance. These complaints usually range from how many chemicals need to be added to how difficult they are to drain and refill. When it comes to maintenance, not every hot tub is created equal though. If you don’t have either the time or the patience for a lot of maintenance you’ll need to pay special attention to the filtration system of the hot tub. Good filtration systems clean the water effectively, reducing the amount of maintenance and chemicals needed to run the hot tub. Bad filtration systems require constant attention to run properly. 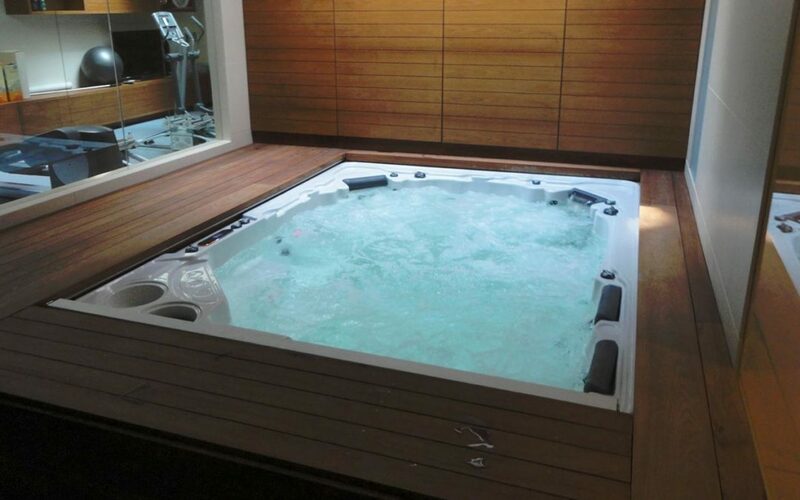 If you want to reduce the amount of time, effort and money required to maintain your hot tub, look no further than the Self-Cleaning filtration system from Hydropool hot tubs. Hot tubs with Self-Cleaning filtration require only minutes of weekly maintenance, don’t need to be drained as often and require less chemicals than hot tubs with traditional filtration systems. One of the biggest mistakes that hot tub buyer’s make is buying hot tub base on the number of jets and the size of the jet pumps. While these stats are important factors to look at when judging the massage quality of a hot tub, they’re far from the complete story. Just as important (or more even important) are the size and placement of the massage jets. Improperly sized jets rely on pressure rather than water flow to deliver power. Much like having a shower with high water pressure, a massage using high pressure jets quickly becomes uncomfortable. Even if the jets are properly sized, if they’re not positioned correctly they’re not much good. 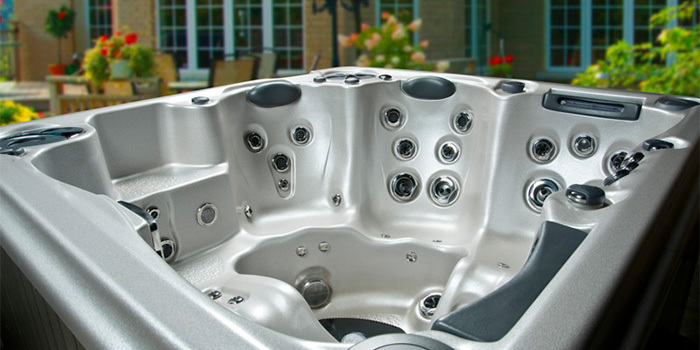 When looking at hot tubs pay close attention to how they position their jets in the seats. Look for jets that mimic the shape of your back (wider at the top and bottom, thinner through the middle) rather than ones arranged in straight lines or diamonds. Jet placement can be just as important, or even more important, than the jets themselves. Choose a hot tub with jets that follow the natural shape of your back. The last hot tub buying mistake made by some people is not buying a hot tub from an honest, reputable dealer. Poor after sales service can ruin any hot tub buying experience. When buying a hot tub it’s important to consider who you’re buying it from. How long have the been in business? What is their reputation? Do they service what they sell? Answering these sorts of questions can go a long way towards ensuring that you aren’t left disappointed by your after sales service. 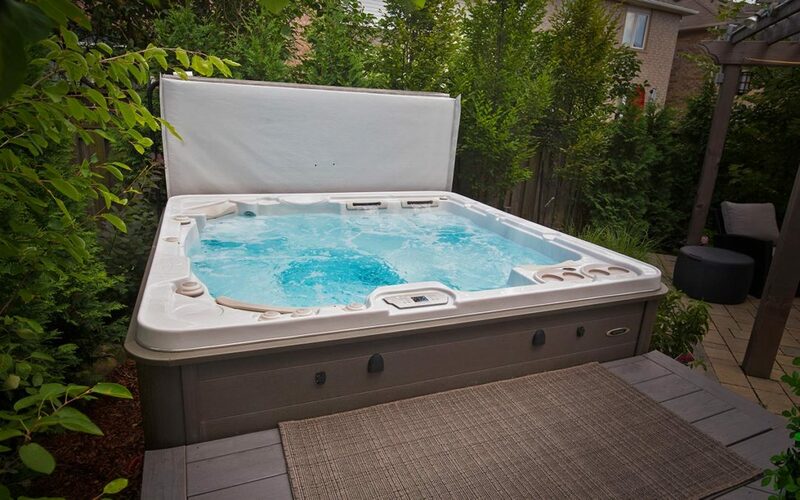 Buying a hot tub can be a really exciting process; owning a hot tub can be even better! If you buy the wrong hot tub though, that excitement can quickly turn to anger and disappointment. 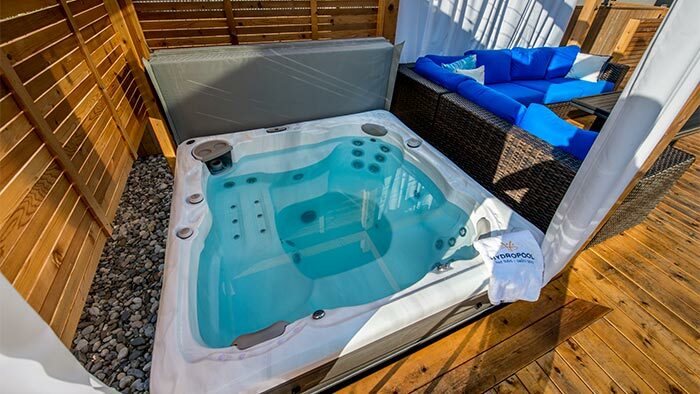 Avoiding these 7 common hot tub buying mistakes can help ensure that you buy a hot tub that fits your needs and provides great value for years to come.